My birthday and Thanksgiving have always been synonymous to some degree and this year they fell on the same day. The last time my birthday was on Thanksgiving, a family fun run went awry when we took a wrong turn. We ran miles further than planned and found ourselves trespassing in a construction zone as we deliriously tried to shortcut to our car. I remember miserably singing “happy birthday to me” under my breath while everyone argued about whose fault it was that we’d missed our turn. (There is a strong contingent that still maintain I was the reason . 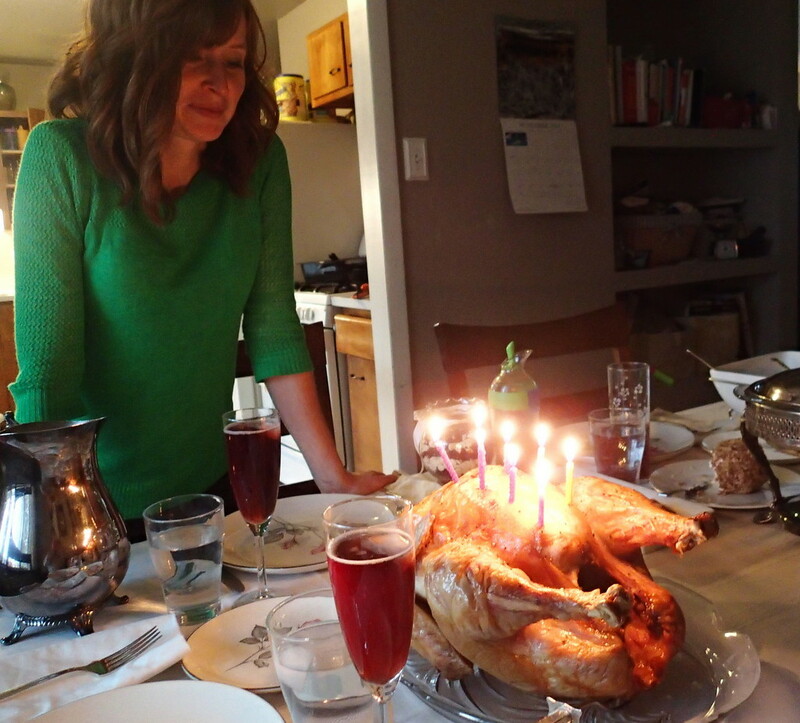 . . ) It was a memorable birthday and probably the only Thanksgiving where I netted negative calories. This year, Noel decided it was a good idea to celebrate my birthday on it’s own special day (as birthdays were intended ;). I told him all I wanted was to go on a trail run to the rock that overlooks Golden and eat lunch without any kids touching me. A good friend kindly watched our kids so we could do just that and it was marvelous. We had Chinese takeout for dinner (one of my guilty pleasures) and stayed true to tradition by having birthday cheesecake instead of regular cake. 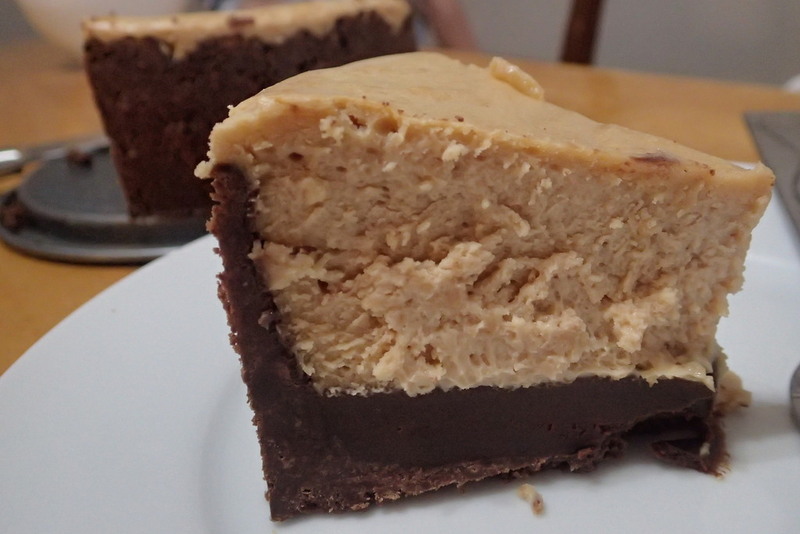 We made a variation of this chocolate peanut butter cheesecake and it was absolutely delicious. After the kids were tucked into bed we watched Much Ado About Nothing on a projector Noel borrowed from work and went to bed at a delightfully reasonable hour. Clearly I’m still a twenty-something that knows how to party . . . or at least I can claim to be for one more year. How is it you seem to be getting younger, let us in on your trick. And who is that handsome bearded man with you, does Noel know? Happy Birthday Audrey, Love You.